The Chaqia-Gonghe Basin and its contiguous zone is situated in eastern Qinghai of China, between latitude 34°45′- 37°00′N and longitude 98°45′- 101°30′E . Ranging from 2 800m to 5 305 m in altitude, the total area is about 38 300km2 . Its climate is continental or plateau-continental one . 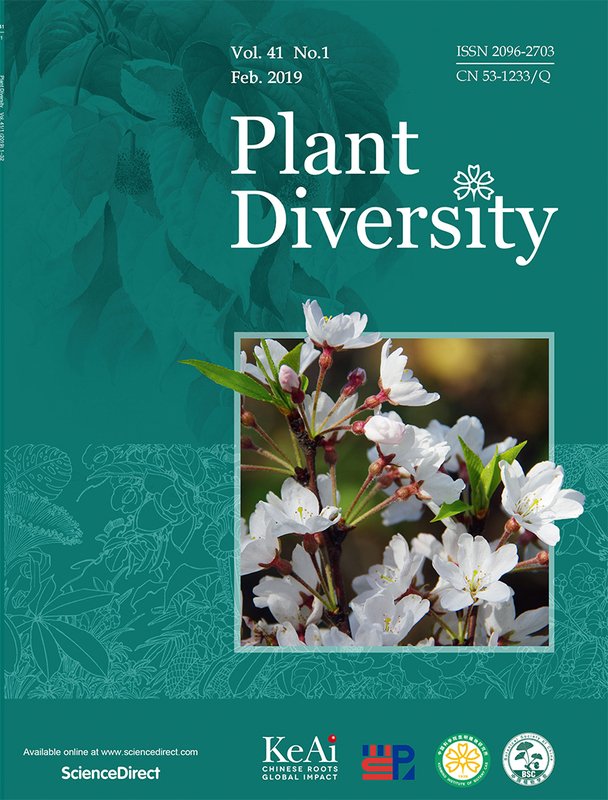 There are 854 species of native seed plants belonging to 59 families and 277 genera there , which occupied 37. 37% of the total species, 54 . 53% of the total genera and 65. 56% of the total families in Qinghai respectively . The floristic characteristics of the native seed plants are as follows : ( 1) Number of species and woody ones there are poor . (2) At generic level, the flora is temperate in nature, dominated by north temperate elements especially the typical elements from the warm and cold zone of Eurasia , but also with some elements of warm, cold warm and alpine ones . (3 ) The area is a margin of distribution for many species or genera especially for tropical ones, and thus , the flora of the area is clearly marginal in nature . (4) Floristic-geographically , it is a converged and transitional region for the Qinghai-Tibetan Plateau Alpine Flora , Loess Plateau Warm Flora , as well as East Asia Alpine Desert Flora. (5 ) It is a part of the Tangute Flora . (6 ) It is a key area to divide the subregions in the flora of Qinghai on the Tangute Area . Based on extensive field work , 282 fern species , belonging to 119 genera in 50 families , were recorded in Yinggeling Nature Reserve , Hainan Island , China . Among the 282 species, eight are new records to Hainan , i. e . Alsophila denticulata , Arachniodes amoena , Athyrium wangii , Dictyocline wilfordii , Dryopteris tenuicula , Phlegmariurus taiwanensis, Pronephrium megacuspe and Pseudophegopteris pyrrhorachis . The fern flora of Yinggeling is very rich and contains 89 . 3% families , 84 . 4% genera and 62. 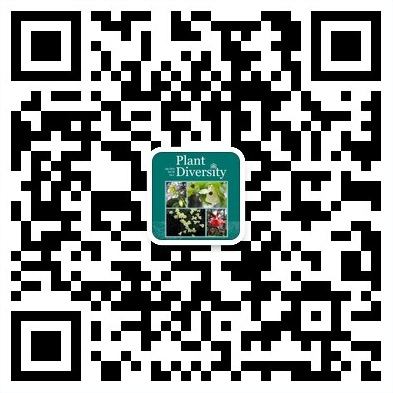 7% species of the fern flora of Hainan Island . This flora is characterized by tropical distribution elements, represented by 97. 3% tropical families, 88. 3% tropical genera and 63.4% tropical species. Besides the tropical elements, local endemic and East Asia distribution elements are also prominent components . The four species-rich families with more than 20 species are Polypodiaceae , Athyriaceae , Thelypteridaceae and Aspleniaceae, and the five species-rich genera with more than 10 species are Asplenium, Pteris, Allantodia, Selaginella and Cyclosorus. Regarding the ecology of the fern flora , four major habitats can be identified: arid forest or shrub habitat at low altitude, dense forest habitat at middle and high altitude , humid ravine forest habitat at middle and high altitude , and mossy dwarfforest habitat at high altitude . Pteridophytes are mostly abundant in humid ravine habitat at middle and high altitude . According to 2001 IUCN Red List and Categories , 56 fern species are threatened in Hainan Island , i. e . four species are Critically Endangered (CR) ( i . e . Athyrium hainanense and Helminthostachys zeylanica ) , 17 species are Endangered ( EN) and 37 are Vulnerable (VU) . In addition , ten fern species are under Class II National Protection in China . Field studies in the Lamagetou Nature Reserve , Mianning Xian , Sichuan Province , in the summer of 2005 revealed a particularly rich and diverse flora . One particularly noteworthy plant growing in openings in the forest, at woodland margins and on exposed slopes, was the recently described Meconopsis wilsonii Grey-Wilson subsp. wilsonii (Papaveraceae) , a species previously known only from the type collection and last collected in 1908 , nearly 100 years ago. , and a broadly ovate-orbicular staminode . Lectotypes for four species of Chinese taxa in Gymnospermae are here designated under Article 8 . 1 , 8 .3 , 9 . 4, 9 . 9 , 9 . 10 and 37 . 2 , Recommendation 9A.1 , 9A. 2 and 9A. 3 , and the 8th section of Preface of International Code of Botanical Nomenclature (St . Louis Code ) , because two or three collections or two specimens were simultaneously designated as types, without indicating the holotype in the protologue. species ( Nm = 1 . 881) . In addition , there was no significant correlation between genetic distance and geographical distance among the population studied ( r = 0.029, P = 0.3196). The biological characteristics of this species, limited gene flow and genetic drift might account for the existence of relatively high inter-populational genetic variation . The high level of genetic diversity was probably related with its wide geographical distribution and its evolutionary history . The fruits characteristics of Ceratocarpus arenarius were studied in the Junggar desert, including fruit ( dispersal units) morphological characteristic , space orientation , development characteristic and dispersal characteristic . The results are as following: Ceratocarpus arenarius has amphicarpy, producing aerial fruits above the ground and subterranean fruits within the soil . The dimorphic fruits are different in color , shape , size , mass, number , space orientation , ripe period and dispersal characteristic . Amphicarpy of Ceratocarpus arenarius is an especial reproductive strategy for adapting to variable environment in the Jungger desert and ensures the species to successfully inhabit. The amphicarpy is first found in Chenopodiaceae. raining at flowering time . Species of visiting insects of male flowers was double as that of female flowers. For insects, male flowers were more attractive than female flowers . The karyotypes of twelve barrenwort species were studied by means of the cytological observation of root-tips. The results show that their karyotypes are similar to each other , with one pairs of middle satellite chromosomes and symmetric karyotype . Among them, the karyotype formulas of Epimedium sagittatum, E. myrianthum, E. acuminatum , E. wushanense, E. simplicifloum, E. yinjiangense, E. luodianense, E. davidi , E. pubigerum , E. franchetii and E. alpinum are 2n = 2x = 6m (2SAT ) + 6sm, and E. leptorrhizum 2n = 2x= 8m (2SAT ) + 4sm . Results of karyotypes analysis supported the opinion of the barrenwort is very conservative in evolution , Our karyotype study suggested that genus Epinedium should be the oldest group in the family of Berberidaceae . The somatic chromosome numbers and detailed chromosome morphology have been studied in five species and one variety of the genus Ranunculus from China . Their numbers and karyotype formulas are : R . felixii , 2n = 4x = 32 = 12m+ 20sm; R. nephelogenes, 2n = 4x = 32 = 16m + 10sm + 6st ; R. nephelogenes var. geniculatus, 2n = 4x = 32 = 14m + 16sm+ 2st or 2n = 5x= 40 = 18m+ 16sm+ 4st + 2T; R. ficariifolius, 2n = 2x = 16 = 12m+ 2sm + 2st; R. repens, 2n= 2x = 16 = 8m+ 8st or 2n = 4x = 32 = 12m+ 4sm + 14st + 2t; and R. trigonus, 2n = 2x = 16 = 6m + 6sm + 4st, respectively. The chromosome number of R. nephelogenes var. geniculatus and the karyotype of R . nephelogenes var. nephelogenes are reported for the first time. In combination with data from morphology and pollen, the taxonomic implications of the indices of karyological asymmetry in Ranunculus are analysed . Homocodon brevipes, a species of the family Campanulaceae and endemic to China was karyo-morphologically studied for the first time . Its chromosome number is 68 and its karyotype is formulated as 2n = 68 = 56m+ 10sm+ 2st . By comparing with other cytological data of Campanulaceae , this species is probably tetraploid and the genus Homocodon maybe close to Campanula and Adenophora in phylogeny . Based on the investigation on gaps and non-gap stands of the Karst forest in Maolan National Nature Reserve , Guizhou Province, the quantitative characteristics and dynamic changes of seed rain and seed bank in gaps were analyzed . The results showed that the total seed rain number was reached 117 .4±32 .6 seeds&#1089839;m2 during the period of observing , among them, the number of immature seed , damaged mature seed and germinable mature seed was 56. 3±10. 3 seeds/m2 , 15 .7±4 .7 seeds/m2 and 45 .4±8. 2 seeds/m2 , respectively . It suggested that it was rich in seed for gap regeneration . Seed rain in gaps had space-time heterogeneity characteristics and it would affect regeneration pattern of gap plant deeply. From the gradient of gap center to non-gap stand , the density of seed , number of species and Shannon-wiener richness index of coarse debris layer was reduced gradually , but it was increased in soil . The density of seed in gap center , near gap center and gap border area were 2415±639 seeds/m2 , 2218±421 seeds/m2 and 1815±311 seeds/m2 , respectively. It showed that gap plant had good regeneration latent. In gaps and non-gap stands, Jaccard similarity index of seed between coarse debris layers was the greatest, 5 - 10 cm was second and 0 - 5 cm was small. Jaccard index between soil seed bank and present community was great in coarse debris layer , but decrease with the soil depth both in gaps and non-gap stands . The results showed that soil seed bank was the main resource of gap regeneration in karst forest of Maolan , it contributed to gap regeneration greatly . A alien plant species , Sysimbrium orientale L . (Brassicaceae ) is recorded in Yunnan , China in the paper . The species has been found invading the ecosystems of croplands and grasslands in Australia . Although it was previously recorded in China, there′s no alert report about it .Because the very small and mass-produced seed in siliques was dispersed by wind , the species can be potentially invasive . The result of our investigation indicated that there was a spreading trend of S. orientale in suburbs of Kunming, Central Yunnan . The biological characteristics and current status in Kunming were reported. We appealed to relevant government departments to make efforts to make a further investigation of its distribution and its invasion route . Assessment of its invasiveness in China is needed to eradicate it as early as possible to avoid its diffusion . Extensive ethnomedicinal survey was carried out during the year 2003 - 2005 to document the precious indigenous health care practices prevalent among the different ethnic groups (Bhil, Meena , Garasia , etc) of Tadgarh-Raoli wildlife sanctuary. This sanctuary is located in Rajsamand , Pali , and Ajmer districts of South-east Rajasthan, India . The tribals belonging to primitive or aboriginal culture possess a good deal of information about medicinal utility of biodiversity . During the survey , it was noted that plant or plant parts as well as animals and substances derived from animal origin were commonly used by the tribals to cure various diseases and disorders . Indigenous healthcare practices , provide low cost alternatives in situation where modern health care services are not available or too expensive . Analysis of data based on 85 remedies indicates that 70 remedies are based on 45 different species of plants belonging to 28 families and 17 remedies are based on several substances of animal origin to cure various ailments through indigenous health care practices . A list of plant and animal species along with their scientific name , parts used and the mode of administration for effective control in different ailments are given. ( ga4A) and gastrodianin-4B ( ga4B) , respectively . But only one identical isoform was found to be expressed in all different parts of a single plant . The deduced amino acid sequences of ga4A&#1089839;-4B accord closely with those of the plant-purified gastrodianins based on the peptide mass fingerprinting analysis . RNA gel blot analyses indicate that gastrodianins were much more abundantly expressed in the fully-opened flowers than the underground corms where an enhanced expression was found in the out layers of secondary corms . From its expression pattern and level in corms , the gastrodianin is assumed to prevent Armillaria hyphae from growing on secondary corms and retard the further penetration of Armillaria hyphae into nutritive corms . Gastrodianins are therefore considered to play a defensive role against the fungus Armillaria . Given the apparently abundant expression in the above-ground parts of the plant, however, gastrodianins seem unlikely to be limited to such a role . Seed morphology was observed and effects of substance types, light, destroying the endocarp artificially and gradient pH on germination percentage of the species, N. yunnanensis, were investigated . The results showed that the average seed size with endocarp was 0 . 94 cm×0. 52 cm×0. 17 cm ( length×width×thickness) , per-thousand-seed-weight about 234.3 g , with germination valve. Among the three substance types, laterite humus soil&#1089839;peat (v&#1089839;v&#1089839;v , 1∶1∶1) was better for N. yunnanensis . Seeds could germinate in the both light and dark , the germination rate can be increased by destroying the endocarp artificially obviously, and the seed germination of N. yunnanensis was stunted by treated in lye , however , that of N. sinensis was promoted . Besides, the rarity causes of N. yunnanensis were discussed in this paper . Traditionally, reactive oxygen species (ROS) were considered to be toxic by products of aerobic metabolism. However, in recent years , it has become apparent that plants actively produce ROS as signaling molecules to control processes such as programmed cell death , abiotic stress responses, pathogen defense and systemic signaling . Emerging evidence suggests that hormone signaling pathways regulated by abscisic acid, salicylic acid, jasmonic acid and ethylene , as well as ROS signaling pathways, play key roles in the crosstalk between biotic and abiotic stress signaling. Reactive oxygen species (ROS) were originally thought to only be released by phagocytic cells during their role in host defence . It is now clear that ROS have a cell signalling role in many biological systems , both in animals and in plants . ROS induce programmed cell death or necrosis, induce or suppress the expression of many genes, and activate cell signalling cascades, such as those involving . Recent biochemical and genetic studies confirm that hydrogen peroxide is a signalling molecule in plants that mediates responses to abiotic and biotic stresses . The synthesis and action of hydrogen peroxide appear to be linked to those of nitric oxide . Downstream signalling events that are modulated by hydrogen peroxide include calcium mobilization, protein phosphorylation and gene expression . A new steryl ester with a polyhydroxylated ergostane-type nucleus , 3β, 5α-dihydroxy - (22 E , 24 R ) -ergosta-7, 22-dien-6α-yl palmitate (1), together with three known compounds (2 - 4 ) was isolated from the culture mycelia of the basidiomycete Astraeus hygrometricus . The structure of compound 1 was elucidated on the basis of extensive spectroscopic methods ( IR, HR-FAB-MS, 1D and 2D NMR) . A new unsaturated hexalactone named passiflactone (1 ) has been isolated from the petroleum ether extract of crude juice of Passiflora edulis Sims . The structure was identified on the basis of extensive NMR and MS techniques . No antioxidative effect was observed for compound 1 against DPPH cavenging assay .